The most interesting part is that I didn’t even know that I was nominated! The Digest is one of the five key documents forming national hospital food standards in England, with impact on standards across the UK and ultimately on hospital catering. 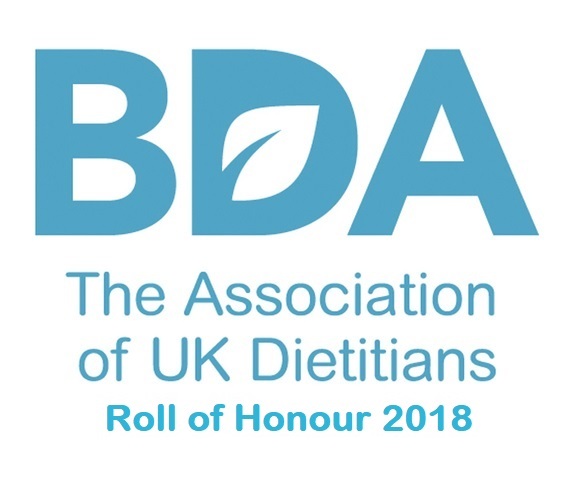 This award recognises and rewards BDA members who have made a significant contribution to a piece of work and provided services beyond that which would be expected of standard member contributions. It is awarded as a result of nominations by BDA staff, colleagues and members. So thank you to everyone who nominated me – I wasn’t expecting it!